The management consulting business has always been a bit of a mystery to me. Something just doesn't add up. 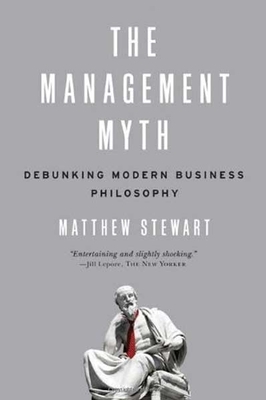 Matthew Stewart just wrote a book about this called the Management Myth, where he chronicles his time as a management consultant at a major firm. I think these two quotes from the book sum up my confusion nicely. Can you think of anything less improbable than taking the world's most successful firms, leaders in their businesses, and hiring people just fresh out of school and telling them how to run their businesses, and they are willing to pay millions of dollars for their advice? With my overpriced advisory services and profligate spending on luxury travel, I was a grossly inefficient efficiency expert, a parody of economic virtue.